I have been a teacher for 26 years, a Headteacher for 11 years and, at the age of 50, this much I know about what makes great teaching? The key to life is to know it’s good when it’s happening, not when you look back after the event. On Sunday I fly to Washington DC to spend three days with people like Tom Sherrington, Ani Magill and, yes, you guessed it, Professor Rob Coe, to explore how we create the conditions in schools to improve the quality of teaching. I’ve packed the Ibuprofen. 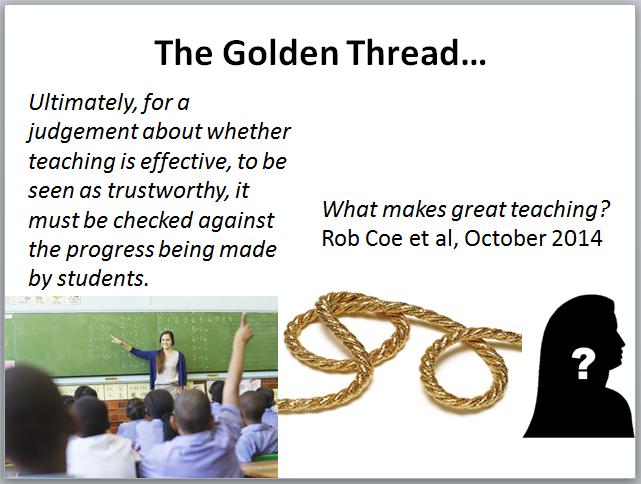 10 Responses to This much I know about…what makes great teaching? data tell a different story.